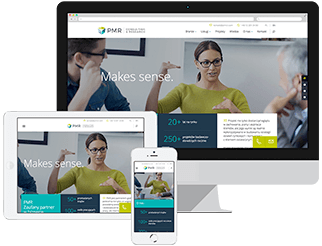 A client who was planning to launch a new application for online payment commissioned PMR to study the usability of the application in order to make sure that new product will meet the expectations of future customers. At this stage, emphasis was placed on obtaining more subjective qualitative data that adequately describes user experience. In order to obtain the data, we conducted a series of individual interviews using application usability testing in three consumers groups, which are potential end users of the final version of the product. Each participant was asked to perform a number of tasks according to a scenario prepared based on the application’s functionality. The respondents’ actions were then registered using eye-tracking devices, which synchronously monitors and records the eye’s movements within a website. Participants were also monitored by a moderator, who at the end of the experiment asked additional questions about particular elements of the application or the paying process when using the application. The research approach we applied allowed the client to gain insight into customers’ opinions on the product. Using eye-tracking enabled us to optimize navigation within the application. As a results of the study, the client received useful research information, which allowed them to modify their product, so that it is user-friendly and fully meets the target group’s needs.